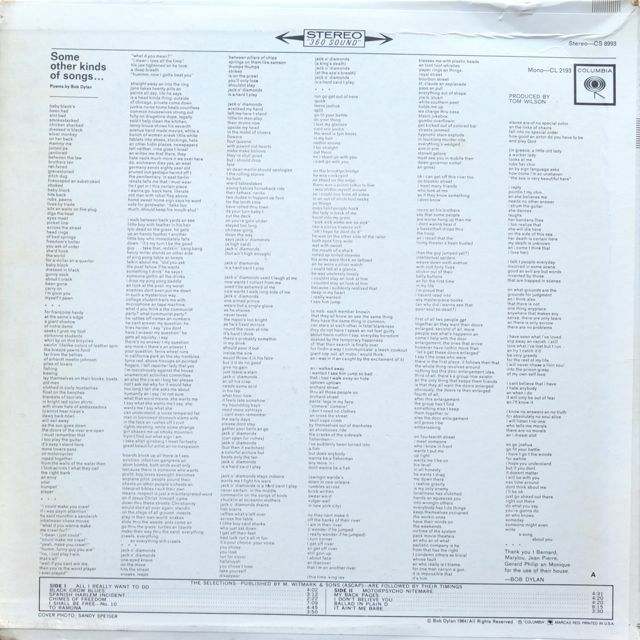 This was indeed Another Side of Bob Dylan, “complicated” love songs and only one “protest song” – Chimes of Freedom”. COF is filled symbolism & surrealism, not like his earlier “topical songs”. 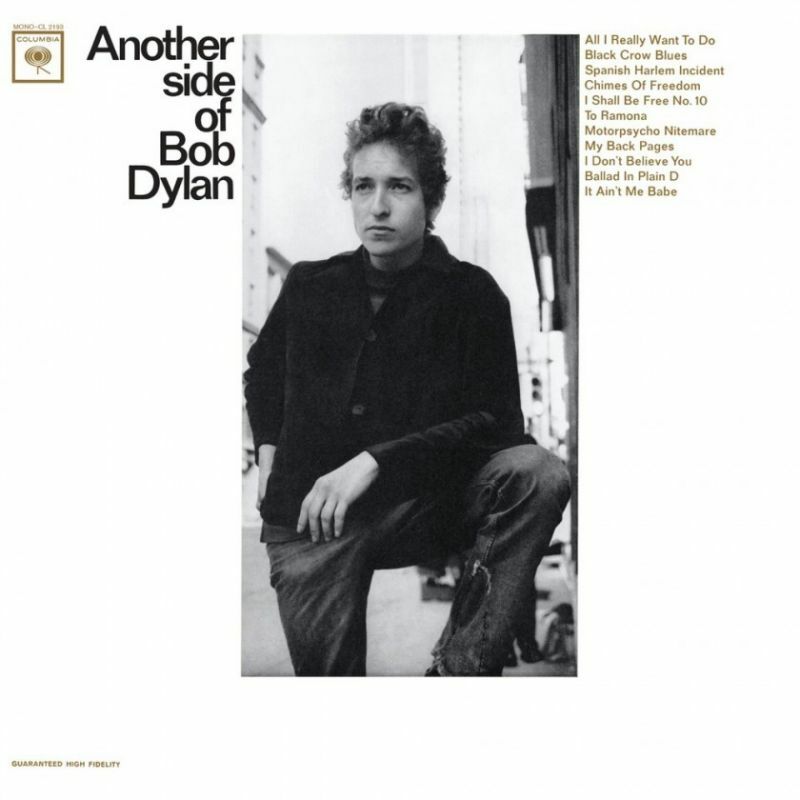 Another Side of Bob Dylan is the fourth studio album by American singer-songwriter Bob Dylan. It was released August 8, 1964 by Columbia Records. The album deviates from the more socially conscious style which Dylan had developed with his previous LP, The Times They Are A-Changin’. The change prompted criticism from some influential figures in the folk community – Sing Out! editor Irwin Silber complained that Dylan had “somehow lost touch with people” and was caught up in “the paraphernalia of fame”. 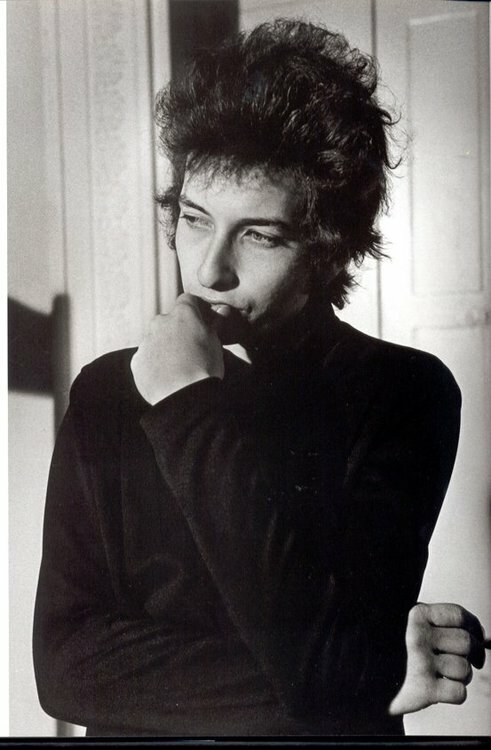 Despite the album’s thematic shift, Dylan performed the entirety of Another Side of Bob Dylan as he had previous records – solo. In addition to his usual acoustic guitar and harmonica, Dylan provides piano on one selection, “Black Crow Blues”. Another Side of Bob Dylan reached No. 43 in the US (although it eventually went gold), and peaked at No. 8 on the UK charts in 1965.